The debate around how far the ball travels in the modern game is one of the most sensitive and nuanced conversations in golf. Any regulation related to technology would impact nearly every shareholder in the sport, from architects to manufacturers to superintendents to marketers and, of course, players. As of late there has been much discussion in the way of golf ball traveling too far. Whilst most of the conversation has centered on the technology, we must also consider the athletic abilities of the players. To do this we can consider swing speed rather that driving distance. In the last 10 years, the average PGA Tour player has increased his swing speed 1.35mph (1.2%). 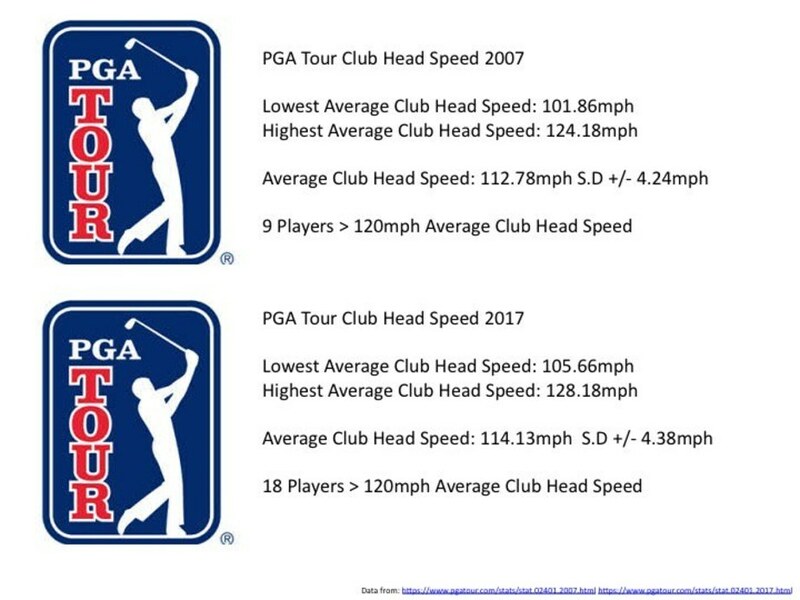 Further to this, the lowest and highest average club head speeds have respectively increased: 3.8mph (3.7%) and 4mph (3.2%). These increases may seem trivial, however a 4mph increase in club head speed could potential result in a 10-15 yard increase in carry. At the PGA Tour level this is huge! While this is a relatively large sample size, we should note that potential inconsistencies in data collection do exist. Just last month Tiger Woods recorded a club head speed of 129 mph, the fastest swing recorded on the PGA TOUR this year. While this sent the golf world buzzing, Peter Kostis noted a discrepancy in the data on Twitter, which may be the result of a challenge that TrackMan has picking up the club Tiger is using. So lets consider the first point. We could argue that the driver has become more forgiving in the last 10 years. Technology like the Active Recoil Channel in Titleist drivers provides faster balls speeds across the face of the driver. You could therefore argue that players are less inclined to fear a mishit, which allows them to swing faster without the fear losing ball speed and hence distance. We could also argue that because the driver is more forgiving, players can use a longer shaft to generate more speed. A longer shaft, given the same force applied, would impact a greater angular velocity on the club head and therefore increase club head speed. This is why we see long drive competitors regularly competing with drivers at 50 inches long. To put that in to context, the average driver you buy off the shelf is going to come in somewhere around 45-45.75 inches, with tour pros normally opting for a driver in the 44.5-45.5 inch range. Without knowing the lengths of every PGA Tour players’ driver it is difficult to ascertain if this increase in club head speed is down to driver length. However, even if the average driver length on the PGA Tour had increased 1 inch in the last 10 years (which is unlikely), the increase in speed would not be proportional to the increase in shaft length. If we then look at Mcilroy’s club head speed in 2009 we can see his average speed was 116.15mph, followed by 116mph in 2010. By 2012 his average club head speed had increased to 120.21mph. It is not unreasonable to assume this increase in speed is at least partially the result of the hard work Mcilroy has put in to the gym. In addition, multiple studies have investigated the effects of strength training on club head speed and found increases in the region 1.6-6.3% (1) which would correlate to what we have seen with Rory. We can also look at the age of the player. In 2007 the average age of the Top 10 in club head speed was 33 years old in 2017 that drops 4 years to 29! 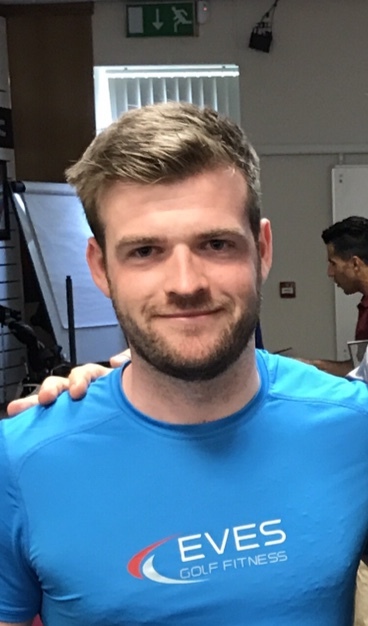 Not only are these player younger but also they have grown up in the ‘Tiger Woods Era’ where fitness training is seen as an important part of development. There is no doubt that technology has played a massive role in the increase in . As noted by Golf Digest's Alex Myers, players on the PGA TOUR Champions are hitting it further today than they did in their primes. Obviously, technology is a MASSIVE factor, but we can't ignore that the new breed of athlete is changing the game. 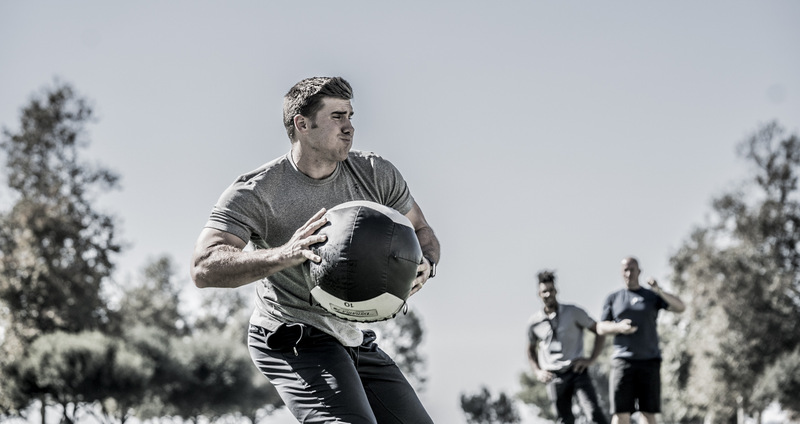 Claude Harmon III - who coaches Dustin Johnson and Brooks Koepka, two of golf's premier athletes - noted that the evolution of athletic skill and capacity isn't limited to golf. Other sports are transforming, independent of technology. Last week, Dustin hit a drive 489 yards, 13 yards longer than any drive recorded in the ShotLink era. Did technology help him? Absolutely, but DJ is also a physical marvel - a 6'4" hypermobile athlete with elite explosiveness who is powered by a modern training program and a phenomenal team. In summary, we must consider both psychical and technological advances as both contributing factors to the increase in club head speed we see. However, it is likely a higher proportion of this speed has been generated from tour players being younger more athletic players than we have seen in previous generations. It is also worth noting that advances in golf coaching may have contributed to this increase in speed. (1) Torres-Ronda, L., Sánchez-Medina, L., & González-Badillo, J. J. (2011). Muscle Strength and Golf Performance: A Critical Review. Journal of Sports Science & Medicine, 10(1), 9–18.